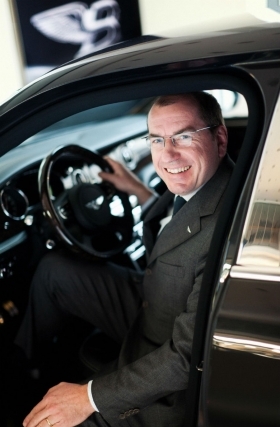 LONDON -- Bentley has appointed its first regional director for China to reflect the growing importance of the region. The UK-based ultraluxury brand has also named a new regional director for Europe. Bentley's new China regional director is Till Sheer. who joined the brand from Volkswagen Hong Kong where he was responsible for the VW and Bugatti brands. Sheer, 46, is a German native who worked in sales, business planning and brand management within the German operations of Renault and Fiat until joining VW Group in Italy in 2003. Sheer joins Bentley from VW. 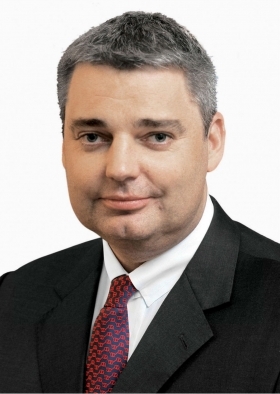 He moved to Hong Kong in 2008, establishing VW's importer operations for the region. China is now Bentley's second-largest market after America. Last year, its vehicle sales in China almost doubled to 1,839, outpacing a 32 percent rise to 2,021 units in the brand's American markets. Bentley's global sales for 2011 increased by 37 percent to 7,003. Chabin joins Bentley from Lotus. Bentley's new regional director of Europe is Guillaume Chabin, who joins the brand from Lotus Cars. Chabin, 43, suceeds Richard Gordon, who has left the company. A French native, Chabin previously worked for Bentley between 1999 and 2007 at the company's European Head Office in Berlin where he helped to reshape dealer network and sales activities.